Tutus, tiaras, pirouettes and pas de deux – that’s what ballerinas are made of. Or are they? Alongside the fairies, princesses and girlish heroines stand another group of women who defy the mould. Encompassing parts that range from protective mothers to powerful sorceresses, these so-called ‘character roles’ make use of acting and mime in addition to dance. And they’re often as vital to the drama of a narrative ballet as that decorated leading lady. At The Royal Ballet, most character roles are undertaken by Character Artists. These dancers tend to have performed with the Company for several years and risen through the ranks. They therefore bring to their roles an understanding of the movement and characterization inherent to classical ballet – Genesia Rosato, one of the Company’s current Principal Character Artists, explains that performing character parts is ‘just an extension of what we have been taught classically’. However, without the technical framework of a fully danced role to fall back on, these performers must go beyond choreographed steps to create convincing personas – they must, as Rosato explains, have ‘a natural feeling for acting’. Dancers with a flair for acting and mime in fact often take on character parts relatively early in their careers, watching and learning from those who have experience of performing the roles. This tradition is particularly strong within The Royal Ballet; Rosato describes how she was ‘taught in my early days in the Company by Julia Farron, Gerd Larsen and Derek Rencher, who nurtured my dramatic tendencies’. Fellow Principal Character Artist Elizabeth McGorian remembers her training in mime with Anthony Dowell – ‘a stickler for detail but never afraid to update it or experiment with it’ – and Peter Wright, ‘who knows everything there is to know about classical mime and is such a perfectionist’. Of the many choreographers who include character roles in their narrative ballets, Kenneth MacMillan is particularly revered for the imaginative, complex personalities he created. For McGorian, ‘MacMillan was the master. Character roles were such an intrinsic part of all his story ballets and he was groundbreaking with the way he made the storytelling so naturalistic’. She names Lady Capulet from MacMillan’s Romeo and Juliet as her favourite role, ‘not least because of the heartbreaking, gut-wrenching reaction she has to her nephew Tybalt’s death… the build up to that scene and performing it leave me emotionally and physically shattered’. The female character artist’s repertory includes a number of other powerful mother figures: Berthe in Giselle and the Princess in Swan Lake are each complex characters, caring for their children but powerless to avert disaster. Though less prominent, the dignified presence of Madame Larina in Onegin provides valuable background detail for the behaviour of her two very different daughters. But character artists are by no means restricted to depictions of maternal love. The plethora of women they portray range from glamorous, independent figures such as Madame in Manon to the demented, knife-wielding young cook in Alice’s Adventures in Wonderland. 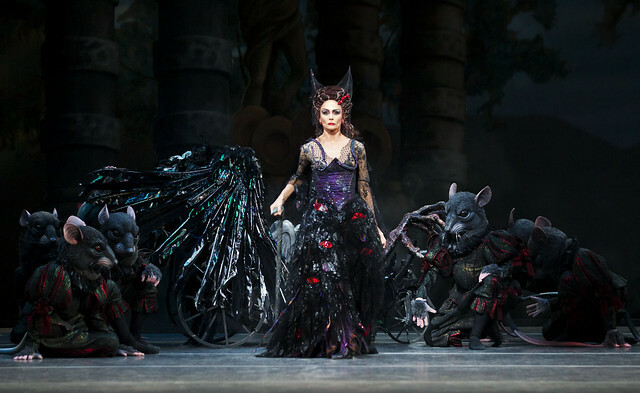 They can be some of ballets most famous baddies – the wicked fairy godmother Carabosse in The Sleeping Beauty and the witch Madge in La Sylphide. None of these characters conform to the stereotype of a ballerina. But without them, and the skilled dance-actors who bring them to life, ballet’s most famous stories could not be told. The Sleeping Beauty runs 21 December – 14 March 2016. Tickets are still available. 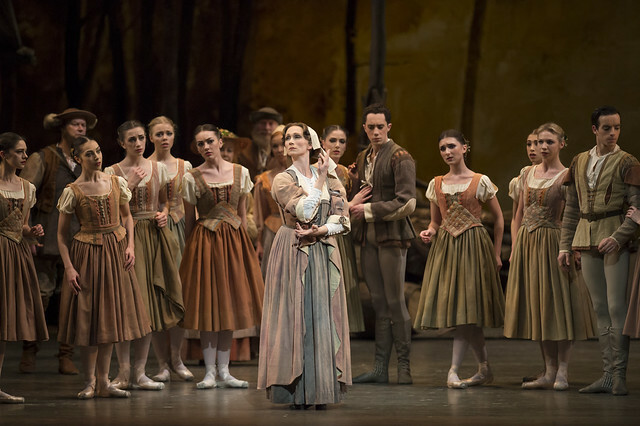 This article is so true!After seeing Berthe from Giselle it is vital that her facial expressions,body language and mime convey very many key emotions and reactions to the watcher. If only Giselle herself had been convinced! That is the power of love I suppose! Nice to read about Elizabeth. Have been a fan since 2010. Are there any plans for RBL to visit the states?